Taste test: They taste just like a baked potato loaded with salt and pepper. Mmmmmmm. And like most Terra chips, they're incredibly thick and extremely crunchy. They do leave you with a pepper aftertaste. 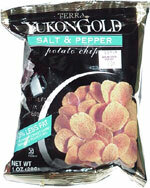 Trivia: "Best potato chips ever!" according to Dad. 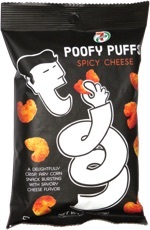 This snack was discovered by Jeremy at Star Market, Stow, Massachusetts.